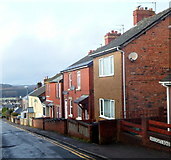 Viewed from an entrance to Porth railway station looking towards the corner of Edward Street. 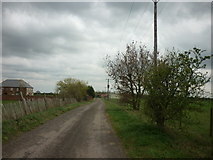 The houses face the railway perimeter fence. 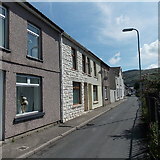 According to one online source, this is the only Syphon Street in the UK. Google Earth agrees. The only other Syphon Street in the world, it seems, is in Shreveport, Louisiana in the USA. 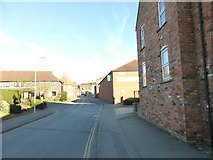 Viewed from the Wesley Road and High Street end looking west. According to various sources, this is the only Parragate Road in the UK. 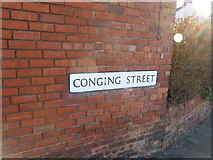 As featured on "Funny British Street Names" Link . and no doubt other sites. At least it's in London, not Swindon or Salisbury. 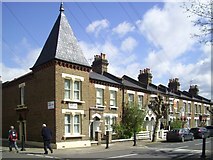 The Austerby is one of the oldest parts of Bourne, the name being derived from the Old Norse austarr, meaning more easterly, and Old Danish by, meaning a farmstead or village, one of the distinctive features being an attractive terrace of yellow brick and blue slate cottages, built in 1900 and still providing serviceable family homes today. Here in Birmingham there's Communication Row - and later I shall hunt out AB Row and other possibilities. View into Upton-upon-Severn from near the Fire Station on the junction of Minge Lane. Upton's distinctive pepperpot tower can be seen in the background. Not sure Minge Lane appears anywhere else. 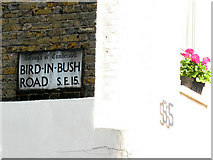 It is often featured in a list of 'Rudest' road names. An old style road name plate for this curiously named street. 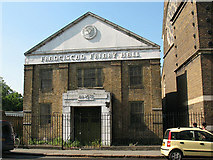 For context, see TQ3477 : Friary Road, SE15. The hall, on Bird-in-Bush Road, is a simple brick church hall attached to the Catholic church and Friary, but has quite an attractive pedimented front. The date stone on the front is AD 1937.